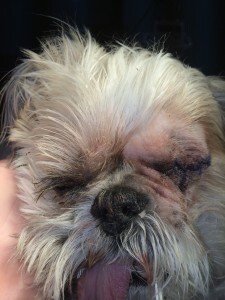 Bart is a blind diabetic cushionoid shih tzu that is 15 years old. Last week he had a posterior lens capsule rupture in which caused a lot of pain. Bart went to go see the veterinary opthomologist. They recommended enucleation. 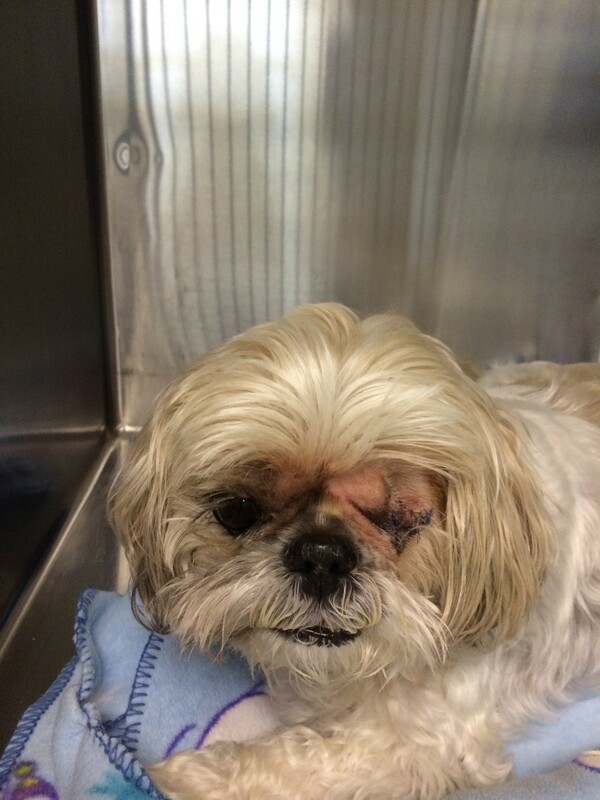 Just this past Tuesday Bart had his left eye removed at his regular vet clinic. Since then we have been battling a rare condition of subcutaneous emphysema. It’s been hard. His eye socket has been filling up with air. We have been anesthetizing him to relieve the air. My heart is breaking and I am in search of some hope. Tomorrow if it is swollen again, we will be in contact with the specialist. Has anyone been through this before? I work at the regular vet clinic. I am a technician there. Today after anesthetizing him the second time, I just broke down and cry. The poor little guy. I know how hard this is for you. I really feel for you. My dog not only had glaucoma but was also diagnosed with cancer and then pancreatitis. It was heartbreaking watching her in pain and then there were severe nosebleeds, vomiting etc etc. It was just awful. You are lucky that you work in a vet clinic. At least you can get quick treatment when needed and the right advice. From what I have read, it is caused by something done during the operation and doesn’t usually last long so I hope that is the case for Bart. I hope there is good follow-up news about Bart. Poor boy–he’s had more than his share of problems. 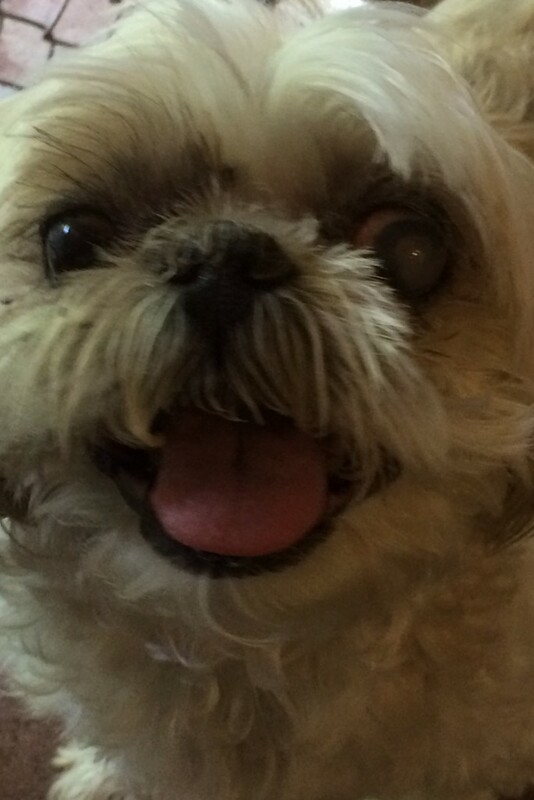 My dog just had both eyes removed last week. She came home today, and is doing okay. However, her surgery was postponed several months because her vet thought she might have Cushing’s when one of her pre-op lab tests looked suspicious. The vet told me she wouldn’t operate on a Cushingoid dog without treatment to get her hormones level or she wouldn’t heal properly. As it turned out from further tests, she didn’t have Cushing’s. But I feel so sorry for Bart (and you) that he has both diabetes and Cushing’s, plus needing enucleation. I do hope he’s better now.